Description: A bartender is mixing a drink for a customer at the Whiskey Licker Bar on Fremont Street in Las Vegas. Patrons order a couple of alcoholic beverages at the bar. 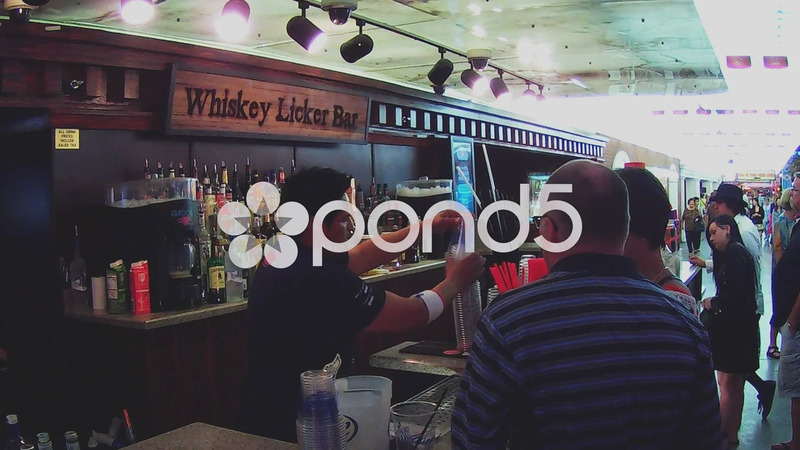 Part of a series of clips by ChromaVid featuring food and drink stock video footage.